Express delivery to the USA, door to door in 8 days (from the day of pickup)!!! 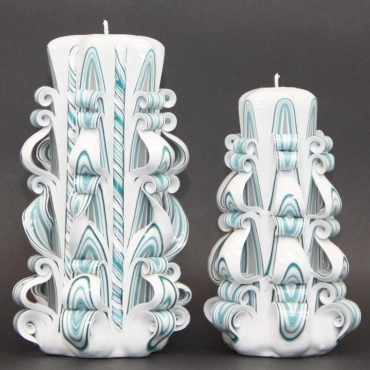 CARVED CANDLES (Candle centerpieces) – As ALL my candles, these carved candles are also my handmade masterpiece, based on an artistic style, from a period which began around 1600 in Rome, Italy, and spread to most of Europe – the Baroque! As a person appreciates special art styles I have spent a lot of time studding various methods, old and modern technology. 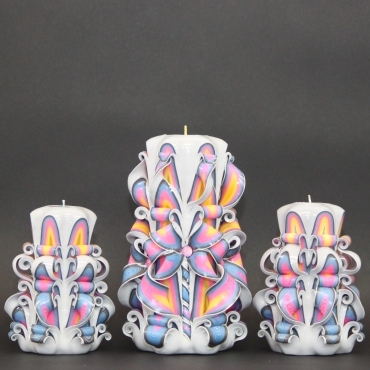 Adding my imagination, passion and love to all this, I was able to create best art products – these unique Carved Candles (Candle centerpieces) - especially for you. Each approx. height 7.85 inches (20 cm) and approx. weight 2.1 pounds (950 gr). 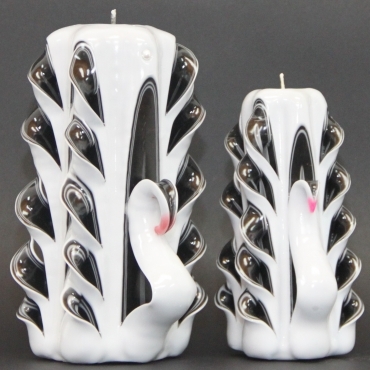 One is white color Swan candle. 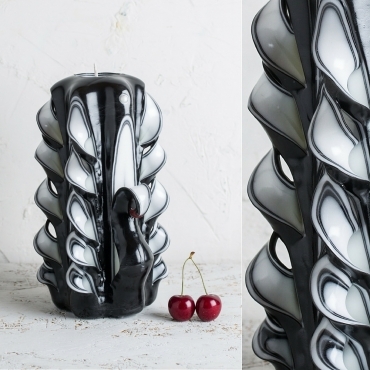 Carved layers are mainly black with some white stripes. 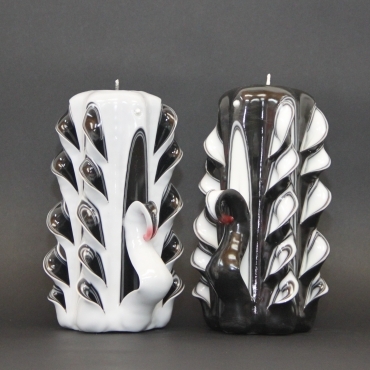 The other is black color Swan candle. 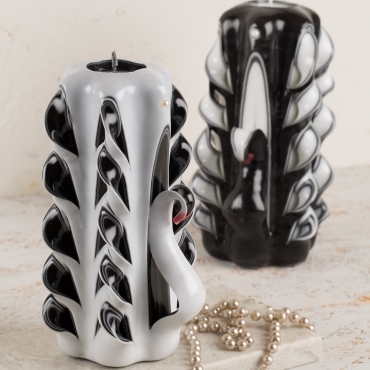 Carved layers are mainly white with some black stripes. 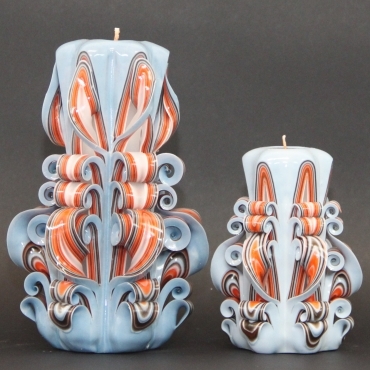 If you don’t want to burn these candles, you can place a tea light candle on top of each candle, and light it up instead of the wick. 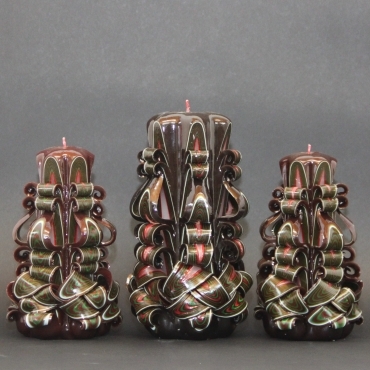 SHIPPING – EACH candle shipped in a separate parcel. 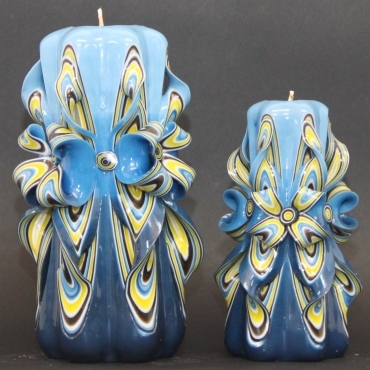 If you order more than one candle, they will all be shipped on the same day in separate parcels and hopefully also arrive on the same day. 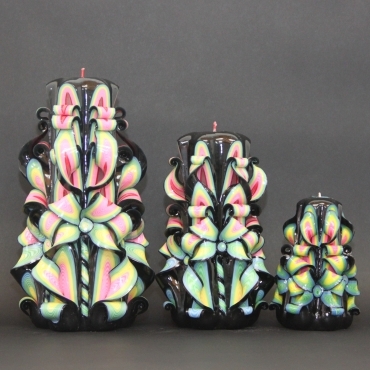 My candles are ready to be shipped usually within 1-3 days. Delivery to the USA and Europe usually takes 1-2 weeks, to Australia longer 2-3 weeks. PAYMENT – You may use PayPal or Credit Cards (via PayPal even if you don’t have a PayPal account). EVECANDLES MASTERPIECE – So you ask yourself “how does Eve do it”!? Obviously, I will not teach you this art in a few lines, but I will give you its highlights. 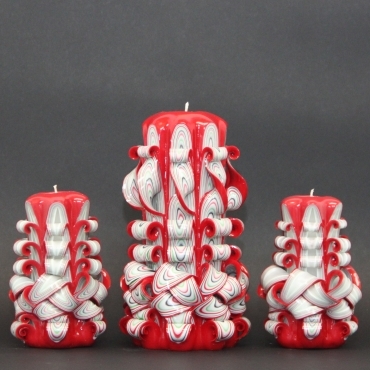 •	Firstly I prepare the core of the candle from high quality paraffin. 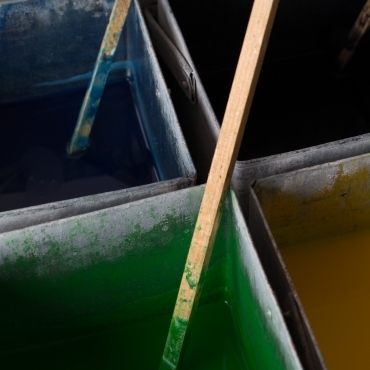 •	Then I coat it with layers of colored paraffin by dipping it into various buckets – each bucket with melted paraffin and different color dyes. •	Once it is coated, I have only up to 20 minutes to carve and complete it. •	Each stage must be performed under full control and monitoring of materials and environmental temperatures. Incorrect temperature of melted paraffin, cooling water, or even the environment will lead to failure to successfully complete the carving. 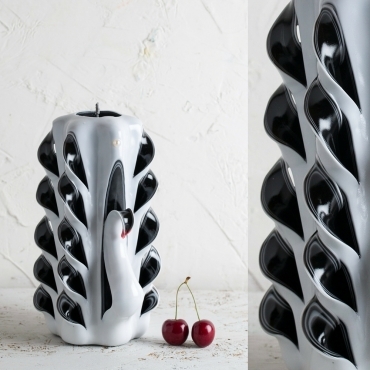 •	The last stage is to cover the candle by acrylic lacquer to make it shiny and give it a layer of protection from heat, dust, and water. •	If your candle gets covered in dust, you can wash it with water.